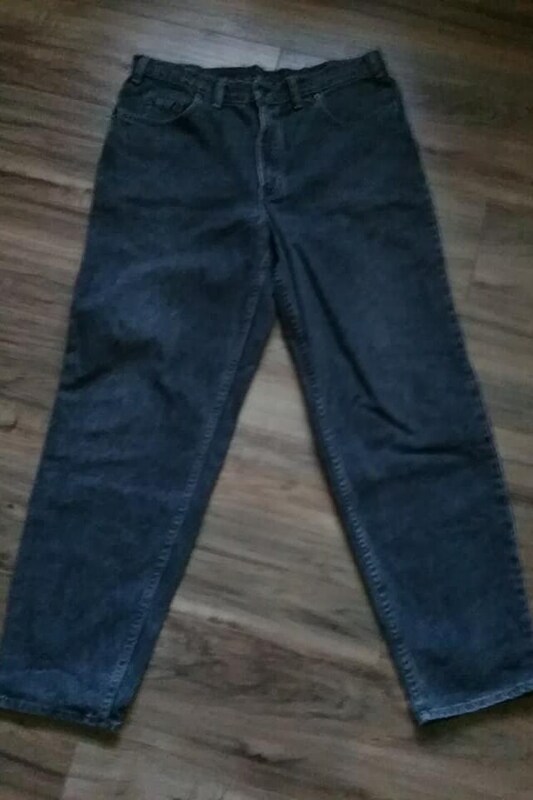 Men's vintage, black wash, straight leg, Levi's jeans. 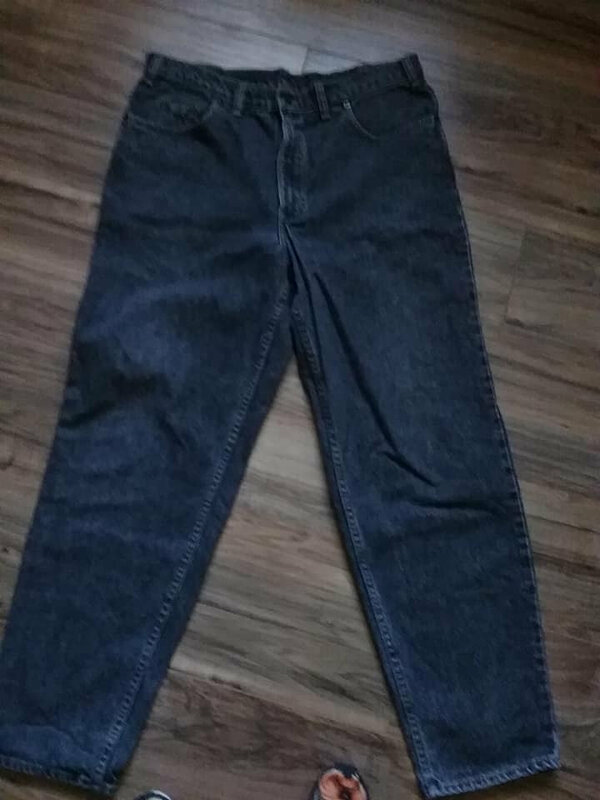 Levi's 533 loose fit. 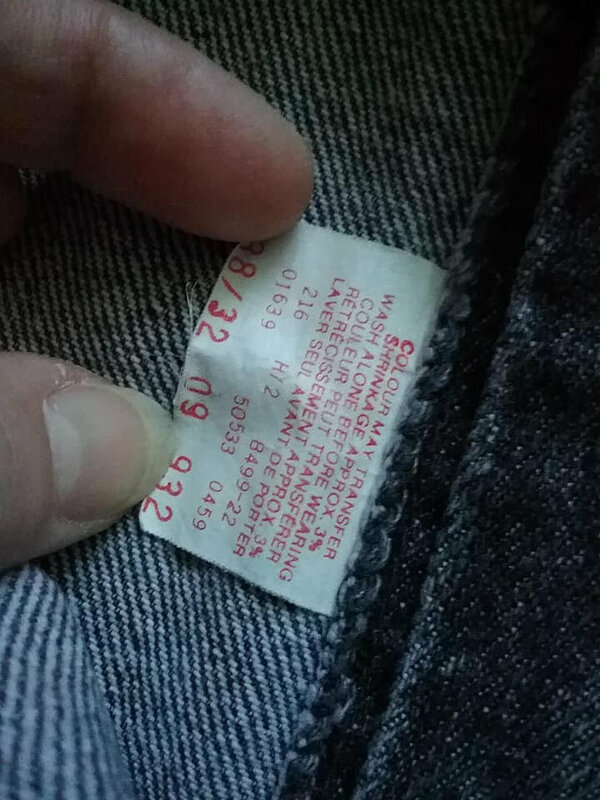 Tag states size 38, but waist fits more like a 36. 36/32. 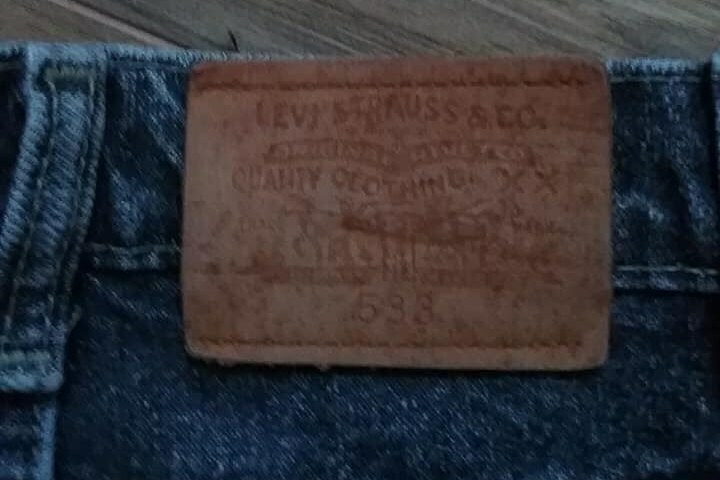 Levi's red tag at back. 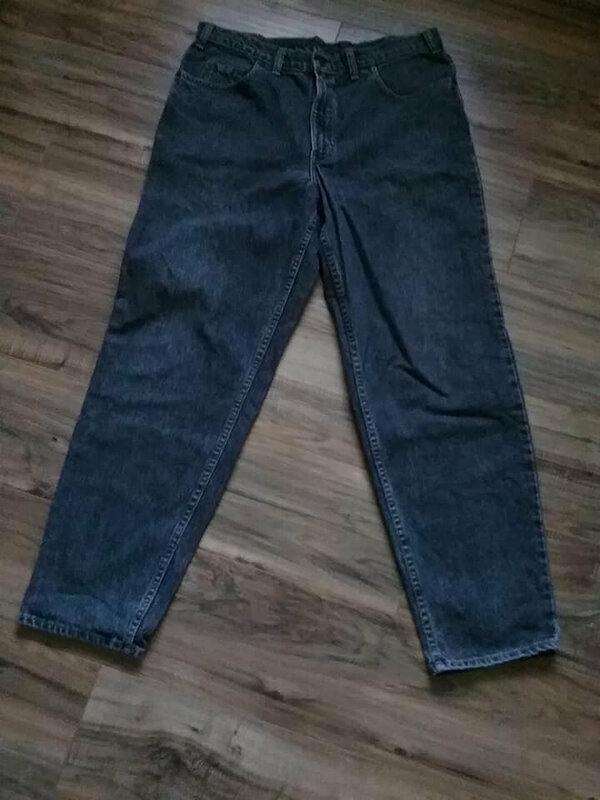 Approx measurements are: waist - 36, inseam - 32", rise = 12", leg opening - 7.5" and out seam - 42". 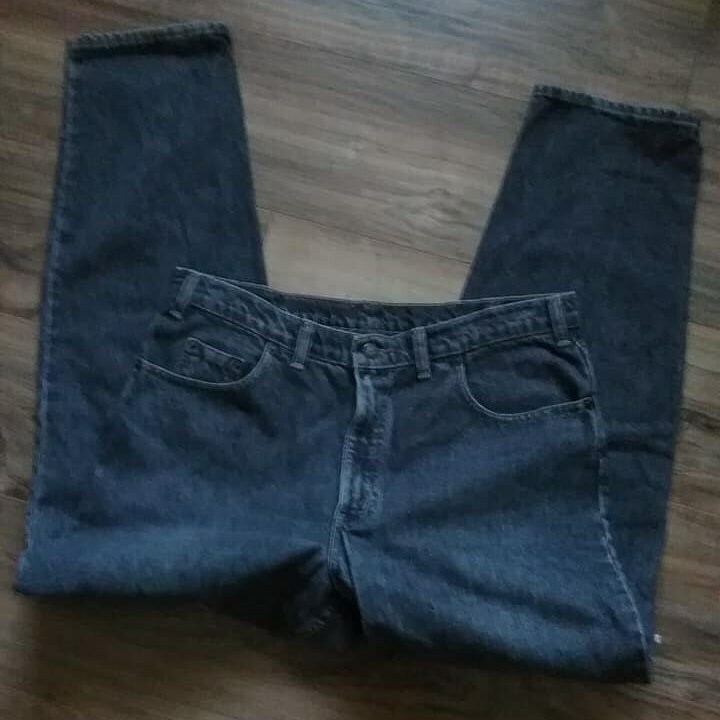 This pair of jeans is in excellent vintage condition. 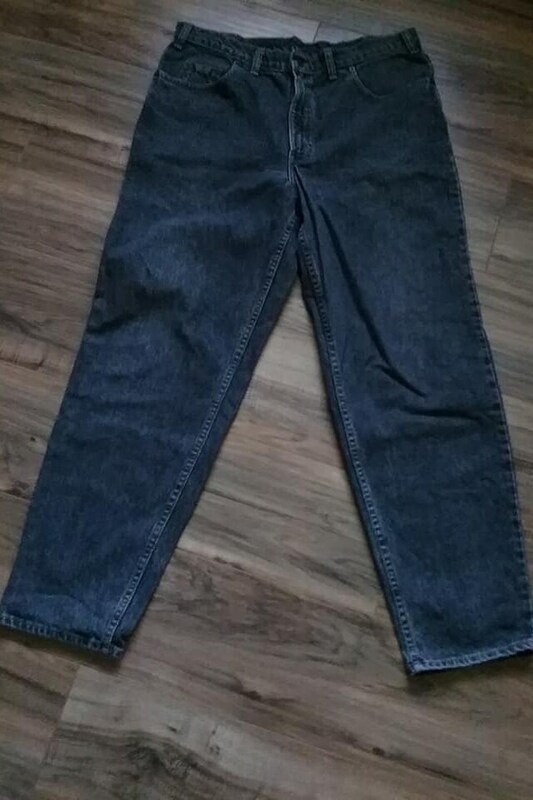 Straight zipper fly, leather Levi's tag, 100% cotton, loose and straight let fit....these are a black wash....show as a grey. 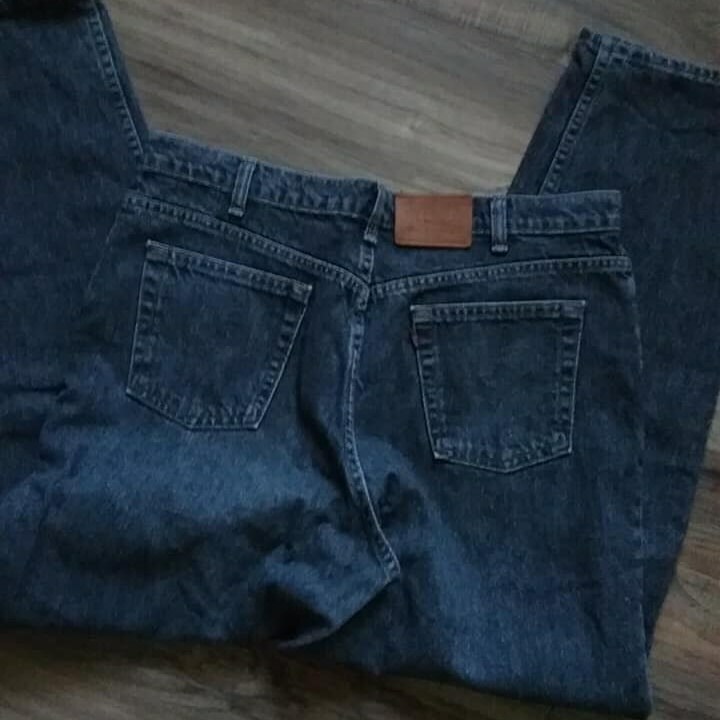 Vintage 80's jeans will bring back a nostalgic, "cool", feeling. Built tough, they are also all the comfort you remember.